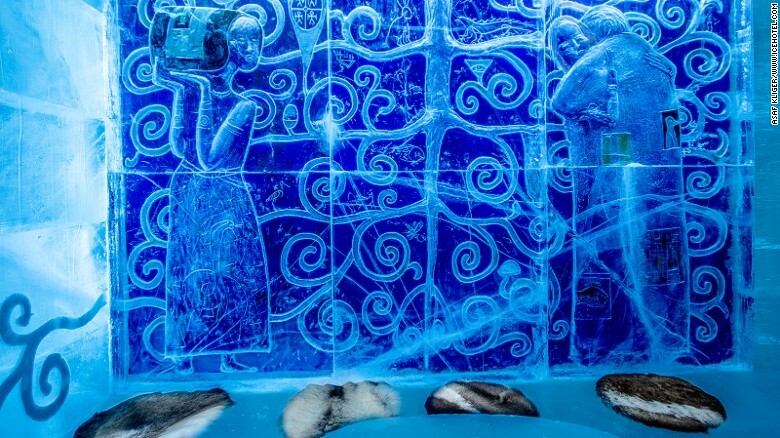 This is the first Ice Hotel of its kind and it was opened in 1989. 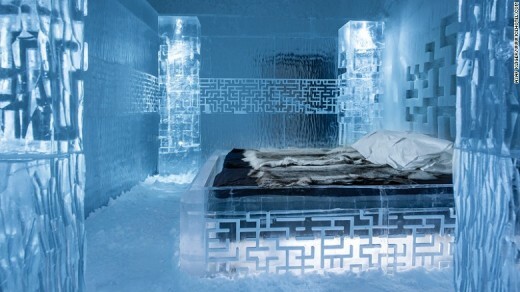 This first ice hotel was made of snow and it is located in the Northern Sweden. 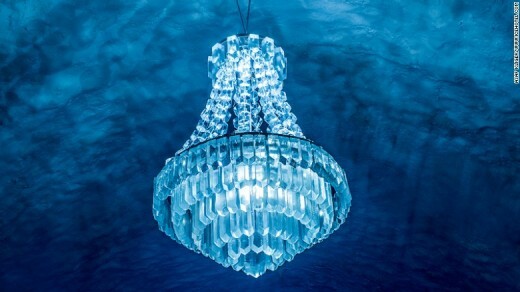 This ice hotel was built 27 years before and it is also rebuilt in each winter and this Ice Hotel 365 will be the first frozen hotel in Northern Sweden and ready for accommodation to stay open round the year. This Ice Hotel is solar powered cooling technology and it allows the part of the legendary hotel with the bar, art gallery, and 10 luxury suites to host the guest, who want to look at the mid night sun and the northern lights. This Ice hotel is located at 200 kilometers north of Arctic Circle and the Ice Hotel is built to the fresh blueprint each year and it used 5000 tons of ice, which is taken from the nearby river, Torne during the spring season and the cold stored during the summer season. 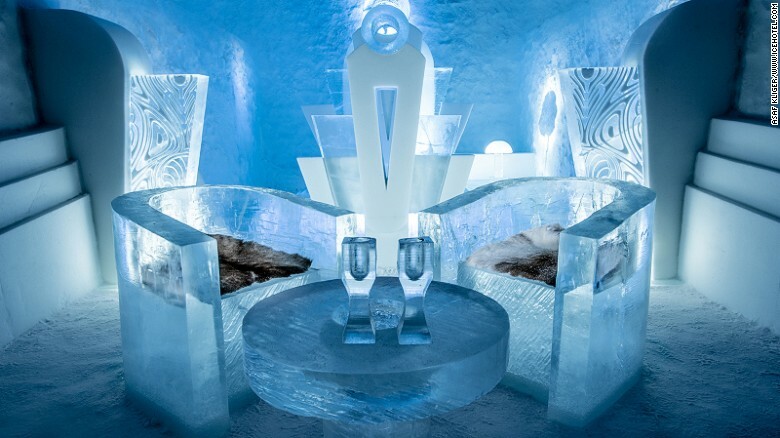 Sections of the hotel will be melting and they are built as usual and there will be fresh new icy artwork for the guest to come and enjoy there for the whole year. 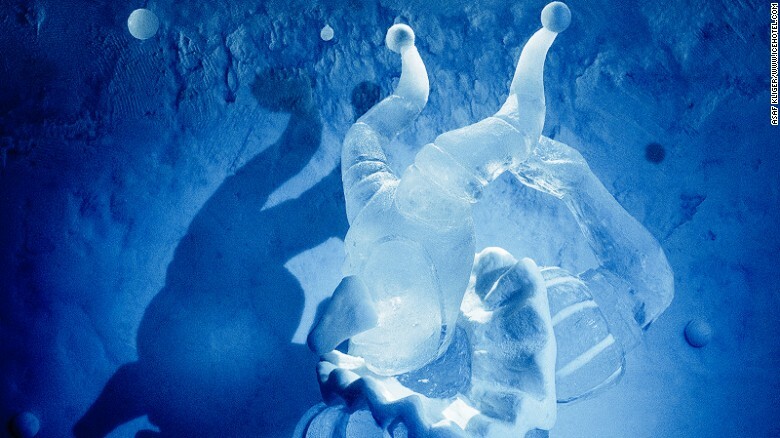 The viewers will watch the original pop up of the Ice Hotel of Sweden, which is built and rebuilt every year since 1989 and it is remained open round the year. The viewers will watch the picture of the Victorian apartment, which is designed by Luca Roncoroni. 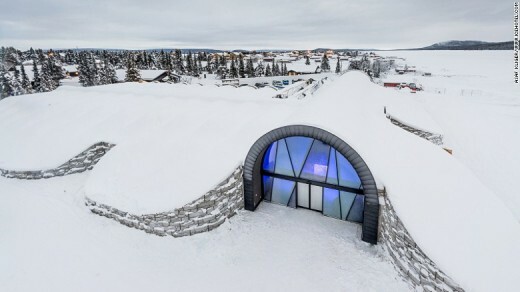 ICEHOTEL 365 – This hotel has the new solar powered cooling technology, which is the part of the hotel along with gallery, bar and 10 luxury suites to host the guests right through the summer months. 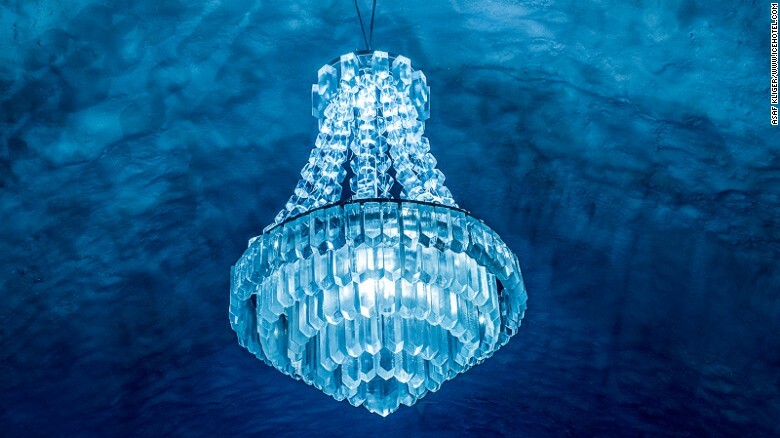 Chandelier – The ice hotel has the complete fixtures and fittings, which you expect in the luxury hotel and they are made out of the frozen H₂O. Snice – The viewers should keep in mind that the building material, which is use for the construction of hotel is called ‘Snice’ (mixture of snow and ice). 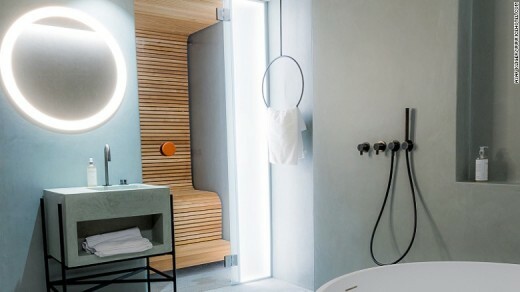 The construction of the hotel involves making the 700 million snow balls and the pictured suite was designed by Mathieu Brison and Luc Voisin. There are about 580 artists, which have created the works for hotel since its establishment in 1989. The art suite is featured with ‘Dancers in the Dark’ and it is designed by Tjasa Gusfors and Patrick Dallard. 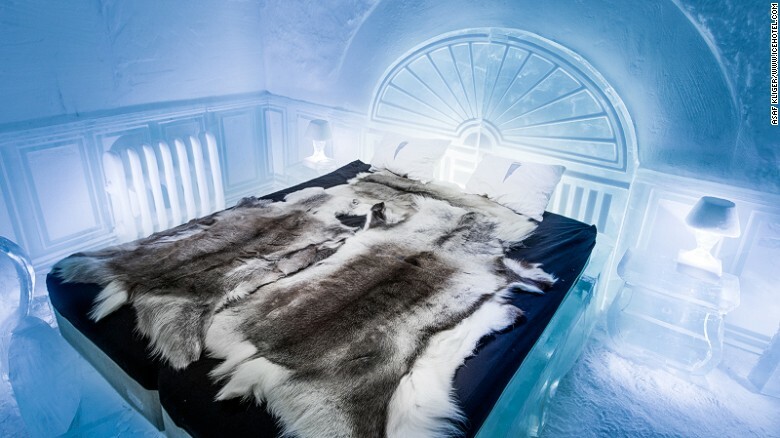 The ambient temperature of the hotel might be -5 °C but the thick capes and the high quality sleeping bags are provided there and the luxury fur throws to keep the guests cozy. This room is titled with ‘Do Not Get Lost’ and it was designed by Tommy Alatalo. Kiss – This is the deluxe suite, which is featured with the artwork ‘Kiss’ and it is designed by Kestutis and Vytautas Musteikis. Spa – It is not necessary that everything in the hotel is made of ice and there is spa and sauna to relax in such way away from the elements. Ice Art Hall – The entrance of Ice Art Hall. 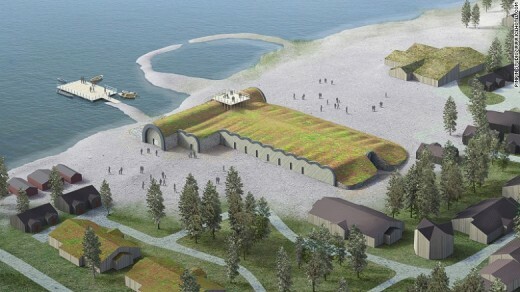 The ICE HOTEL 365 is built on the site of the former refrigeration plant. Aurora Borealis – The hotel administration made the arrangements for the guests that they do not miss the Northern Lights and there is special auroral alarm. Cold Ice Warm Hearts – The hotel is located on the chapel and it is hosted around 100 weddings each year. There is lot of happy snow queens. Icebar – There are some icebars, where 27,000 cocktails are consumed each season in the Icebar and it has various branches worldwide. 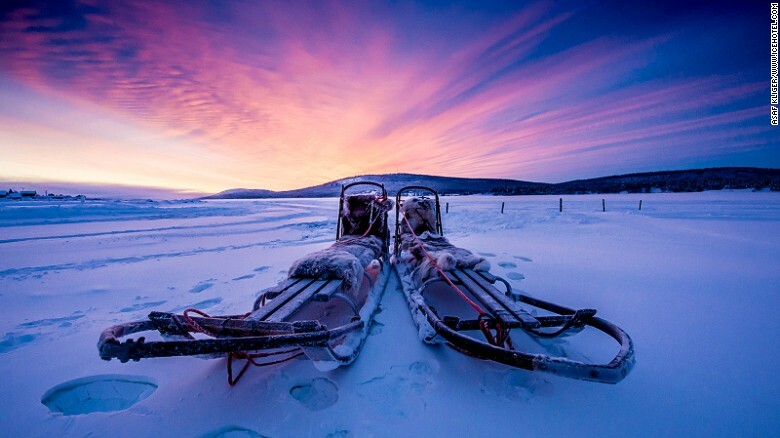 The great outdoors – There are different winter activities, which are offered including the dog sledding and in the summer guests can go hiking under the midnight sun.